Residents of several neighborhoods around Zebulon road are mad as hell about a proposed new development. A meeting is scheduled on December 14, 2015 that will decide if Macon-Bibb planning and zoning will support the residents or allow more urban sprawl that will inevitably lead to more blight and another neighborhood in decline as they inevitably convert to red zones. Here are the links with all the information available for the items to be voted on at the meeting. Item A and Item A Traffic Reports. Here is the contact information for the Macon-Bibb P&Z for those of you that wish to register your disgust if they decide to approve more sprawl. This type of unabated development without any long-term plan or strategy is precisely why Bibb county has been in decline for decades and losing population. As I wrote in my previous article called Zebulon Rd. Development Symptom a larger Problem, we need a strategic long-term plan and not a haphazard approach with decisions based on logic not on connections or short-term profits for a few privileged elite. It’s also disturbing that one of these good ol’ boy developers happens to be a member of New Town Macon who always seem to get their way in Macon. I am 100% in favor of redeveloping downtown Macon and bringing in more people to live in the downtown area. Downtown needs more people living there to revitalize, but we don’t need further urban sprawl into our few remaining stable neighborhoods. People bought homes in the suburbs to escape the problems associated with urban development. Leave their neighborhoods alone! Unless the people stand up and demand that the P&Z put a stop to this senseless and illogical sprawl, Macon will continue to lose people as our neighborhoods decay and dwindle as people flee to other counties to escape. We have empirical data and common sense that tells us this senseless sprawl is suicidal to our neighborhoods. I suggest our P&Z ask the good folks at Georgia Tech to explain how the concept of Blight to Beauty works or just watch the video at the end of this article to understand why the Zebulon development is a massive mistake. Macon needs to develop a strategic plan similar to Eugene, Oregon. The Envision Eugene plan worked because it involved community feedback and cooperation and not dictatorial decisions made with the sole goal in mind to line the pockets of the well-connected and wealthy local developers who are the only ones to benefit. Demand better from your civic leaders and especially our P&Z board, demand that they have a plan in place that looks at growth 30 years down the road and not 3 years, and one that takes sustainable growth into account while preserving neighborhoods. One commenter on a letter to the newspaper below one of the following letters seems to understand what will inevitably happen if the good ol’ boys get their way yet again. Below are three letters from residents who live the area around Zebulon road under discussion at the meeting on December 14. They are doing all they can to stop this senseless expansion. Webster defines “fiasco” as something that is a complete failure, especially in a ludicrous or humiliating way. Once again, the residents of Stone Edge and Ashford Park subdivisions will have to defend themselves from another attempt by developers who want to construct a large box commercial project in one neighborhood and across the street from another. I say shame on Southern Pines Corporation, Sierra Development, Inc. (which is owned by Land South out of Florida). for wanting to make a financial gain to the detriment of hundreds of homeowners living in an area zoned R-AAA. It is hard to blame the seven property owners whose homes front on Zebulon Road for wanting to sell when someone offers them much more money than their property is worth. However, those homes are located in the Stone Edge subdivision. 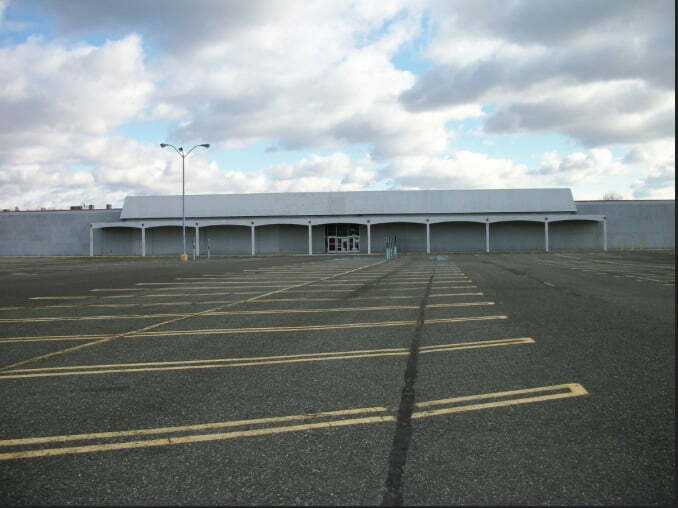 Nobody wants a commercial project inside their neighborhood and the good folks in Ashford Park should not have to look across the street and see large box buildings, banks, shops and restaurants in an area zoned R-AAA. There are several of these projects already completed and all of them are in areas where it is OK to have them constructed — across from Mercer University, downtown, on Bowman Road and on Thomaston Road. None of them are in a subdivision or across the street from another subdivision. None are in a R-AAA area. A study was done on traffic (on a Monday morning) and it stated that about 3,000 more cars per day would flow into an area that is already too congested. It will become less safe for children attending Sonny Carter Elementary School and for those in the neighborhoods. It will lead to major traffic jams and more accidents. Cars cut through Stone Edge and Ashford Park day and night, and it is almost impossible to get out of the subdivisions now without risking your life. Many years ago, Southern Pines and their attorneys met with homeowners in the area and an agreement was reached that there would be no more commercial projects beyond the church (now Northway Church) and Sonny Carter School. Hart’s Mortuary was denied construction at Bass and Zebulon roads as was Capital City Bank. Both did the right thing and moved their businesses down the street into the commercial area. 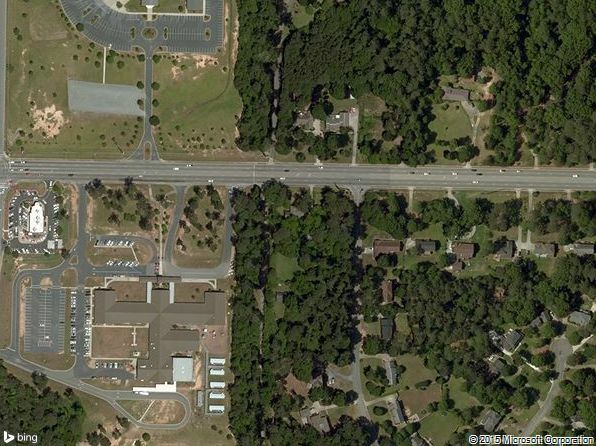 An Alabama developer was somehow approved and residents were forced to file a lawsuit. A local judge said, “it never should have been approved by Planning & Zoning in the first place.” He reversed the decision and returned the zoning back to its proper R-AAA status. Now, here comes Southern Pines trying to break the promise that was agreed upon in order for them to develop commercial properties all the way from the agreed upon line to Interstate 475. Approval of this project will indeed be a fiasco. It will open a Pandora’s Box for more commercial ventures down Zebulon Road, Bass Road and Foster Road, all the way down to Forsyth Road. This property is zoned R-AAA. It would be a complete failure on the part of Planning & Zoning to rezone it in order for two high profile companies to profit by destroying our neighborhoods. There are too many other properties already zoned for this kind of project. Approval of this rezoning would be humiliating to all the good people who live in the area. Instead of enjoying the beautiful and peaceful wooded area we do now, we will be forced to look at four large big box buildings complete with more people and cars along with the noise and congestion it will bring to our neighborhoods. Property values will drop to next to nothing and it will be almost impossible for someone to sell their home should they need to move. Our hopes and prayers now rest squarely on the shoulders of the P&Z board and then on the actions of the P&Z Coommission. Our desire is that the board will recommend that the project be denied because it is R-AAA and never should have been changed according to the judge’s ruling. Finally, we will feel foolish and ashamed if the commission once again approves a residential subdivision to be changed in order to accommodate two commercial companies to profit by causing an early death of our neighborhoods. There is a vote coming up December 14 by Macon-Bibb County P&Z (and their commissioners) to rezone (or deny) 25 acres on Zebulon Rd to PDE from R1AAA so that a large and intrusive apartment complex ( 4 buildings) with commercial out parcels can proceed. The parties involved are Southern Pines Plantation ( Travis Griffith) and Sierra (Jim Daws) vs Stone Edge and Ashford Park subdivisions. Everyone knows by now that this development will be built into the interior of Stone Edge and across the street from Ashford Park. I invite everyone not familiar with our area to ride out here and look. Picture 4 apartment buildings the size of The Lofts on College IN your backyard, literally. There are too many political connections with these 2 companies to P&Z and the P&Z Commissioners to explain here. But it all stops with our mayor who should be aware of how P&Z is voting.When consolidation passed North Bibb County voted (gleefully) to keep Robert Reichert in office as our mayor. We need him now to vote for us and shut this down. We are tired of begging P&Z and their commissioners to look out for us and follow their own Land Development Resolutions. They aren’t. A vote to approve this parcel PDE will open the floodgates for commercial development on all of Zebulon Rd and Bass/Foster Rds. Robert Reichert needs to be proactive if he wants to prevent blight and shut this down NOW. We voted for him last time and he will need our votes again soon. As a resident of Stone Edge subdivision, I read with great interest the article in The Telegraph last week. Billy Hester, a real estate agent in our community, has obviously investigated the upcoming proposal well. Isn’t it interesting that Southern Pines Plantations’ presidentLand south acknowledged that his company fought Blackwater Resources and even paid, for all practical purposes, the entire legal cost to fight the developer? Of course, Griffin also admits that his company “saw the dollar signs” and protected its assets and interest in the area. As Hester has already stated, there are many other areas in our vicinity that are available for construction. Citizens, please take a good look around Zebulon Road. Notice the buggies, boxes and debris left by pedestrians. Observe the road, the trash surrounding the islands between the Med Stop and Northway Church/Chic-fil-A and Sun Trust bank. This “pedestrian-friendly development” will only attract more debris and these upscale stores will eventually leave because customers will take their business to a better cared for area of town. I have contacted Southern Pines several times about these islands. I have personally cleaned out these islands over the past few years, digging out garbage, sweeping, replenishing the pine straw, etc. I like for my area of town to be appealing. I want people to enjoy being in my neighborhood. However, if Southern Pines Plantations cannot take care of their present properties, how can we entrust them with the cleanliness of an area built practically in the middle of our neighborhood? If Southern Pines Plantations is not responsible for these areas, I would like to know who is. Macon wants more citizens, better schools, more businesses. How do we attract more citizens? We should clean up what we have. We are concerned about blight and spend a lot of time talking about it. We applaud those who refurbish homes and neighborhoods, but we consider allowing a local company to build a “commercial zone” adjacent to a tranquil neighborhood? This is absolutely ludicrous. I would challenge our city/county government to get on the ball and use some of our hard earned money to keep the city clean. I would challenge Southern Pines Plantations to honor its prior commitment to the citizens in the Zebulon Road area. Don’t think the Mayor will stick up for the resident. He is for every tax and fee that comes along. I have a letter out to Macon.com. on the issue of why white flight is more common since Jack Ellis was mayor. what do you mean by “urbanize”? Is that directly related to redevelopment? Or is that a term associated with African Americans migrating to more developed areas? & which one causes white flight? What do you call a thousand developers and a bunch of corrupt politicians against a bloody concrete wall? …………….. A Damm Good Start. Take it from a developer with 30 years experience, these types of encroachments into stable neighborhoods will destroy the suburbs. The other commenter below is correct. We all know that retail follows rooftops then destroys the rooftops (neighborhoods) then the cycle starts all over again. Unless you have a planning department with a longterm plan that listens to homeowners and has designated green spaces and commercial spaces you will have that. Here in south Florida the towns that planned wisely are booming and growing and the ones that allowed developers to have their way with encroaching strip malls are now mostly vacant and crime ridden as the retail made homeowners sell and move. Sounds like you guys up there in Macon have a planning board in the pocket of developers. I left the area way back when Reagan was president but doesn’t seem like things have changed. They seem to be typical slimy rooftop to retail sleaze ball developers. Retail follows rooftops then ends up moving residents away then try and follow them agains and the cycle never stops. Unless you have a planning department on top of things tis is what always happens. They know their development will be vacant and run down in 20 years maybe much less. They don’t care because like locusts they will have devoured other neighborhoods because that is all they know. Then all you have is big paved empty lots and once nice neighborhoods run down and empty. Good luck with your fight Macon. A little birdie told me that Kamal Azar of http://www.azarwalsh.com who also happens to be on the P&Z might stand to benefit from this deal as well. I suggest some open records requests. This deal stinks big time. Azar needs to recuse himself. And so does anyone else connected to New Town Macon. So sick of these bozos scratching each other’s backs to get what they want. They make out like bandits while they bleed Macon dry. 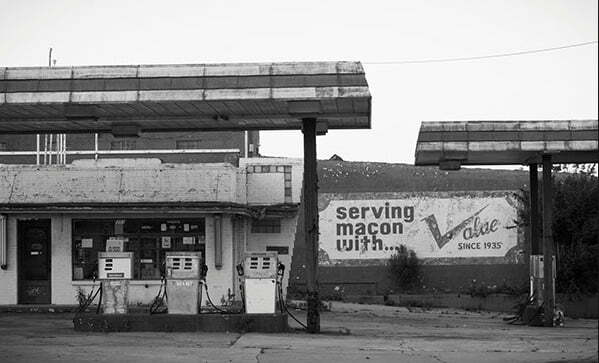 I used to live in Macon but no more. Your article is spot on. The good ol’ boy network in Macon is ridiculously bad. I know both James Daws and Travis Griffith and they are both complete assholes. All they care about is $$$ and they don’t give a lick about how their crappy developments destroy neighborhoods with more cookie cutter ugly developments. At least up here in Brookhaven the corruption isn’t quite that bad as Macon and our P&Z seem to care a bit more about preserving property values because they understand that also means tax revenue. Those idiots in Macon in city government all need to be voted out or fired. They are beyond incompetent. P.S. I read that envision Eugene link. Now that is how a P&Z and city government is supposed to work! No question about it. This development is not good for hundreds of families and neighbors that call the Zebulon Road area home but it is good for the developers. The development will be a big deal while it is going on and going up but when it is finished, how long will it take to fill the unwanted building and development? Who is going to solve the traffic problems? Whose insurance is going to rise because of accidents? Who cares that the residential home values plummet? Is the need really there? There is an elementary school right there that already causes traffic problems to the point that parents do not want to move to that area and send their children to that public school and have to contend with the traffic. I see buildings all over Macon that need to be refaced, updated and occupied. The actual concept is not congruent with the area but will be a shrine to the developers while it will make the locals cringe. There are already five large apartment complexes in the area that the property managers cannot keep the percentage of occupancy at a good level, and the traffic is already bad enough that residents in the area avoid driving Zebulon Road. The developer has other property behind the Kroger shopping center that could be used and tied into the office park. Why build a commercial building in a residential subdivision? Build behind Lowes next door to the new apartment complex. The developers have options the residents of the neighborhoods do not. These developers have no interest in that community. There goal is money in their pockets only. Two developers get rich but hundred of families get destroyed.